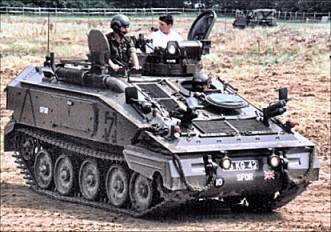 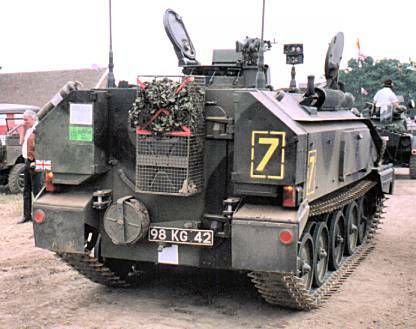 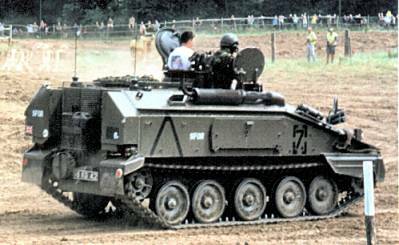 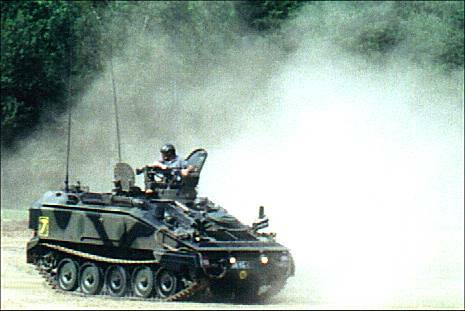 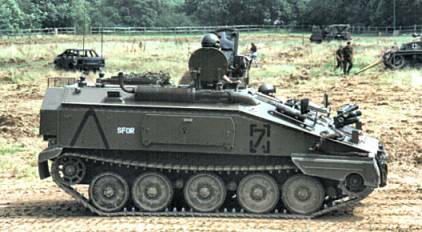 Spartan is the APC member of the CVR(T) family. 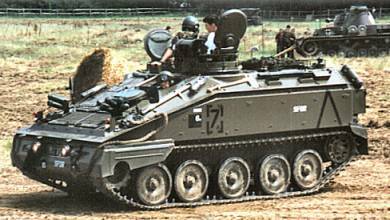 It has capacity for 5 men in addition to 3 crew. 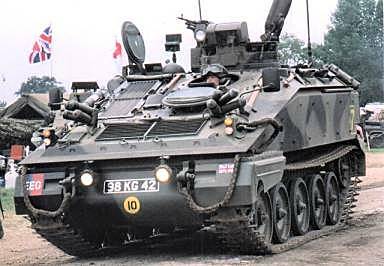 Externally it is almost indistinguishable from FV102 Striker with its missile bins lowered.